Concentrate on technique, keeping core engaged and chest up, keep the bar on your shoulders. "CrossFit is the best part of our day and this rig we built put the final touch on our 'home away from home gym'"
If unable to do DU's jump laterally over a 24 K kettlebell. You may not drop sand bag at anytime. You may rest the sandbag on your body only. 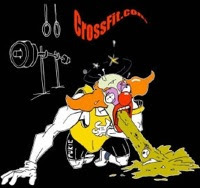 If you drop the sand bag you will have to complete a 5 burpee penalty. A little ball toss and squats, great to have the new faces. 4 small shirts left of the black and pink. CrossFit Level 1 Certificate Courses: CrossFit Fort Lines, CrossFit Atlanta, CrossFit Columbus, CrossFit Fury, NorCal CrossFit, Rainier CrossFit, CrossFit Morristown, CrossFit Charlotte, CrossFit Roots, CrossFit Country, CrossFit TNT, Alamo CrossFit, CrossFit Colosseum, CrossFit Centrum, CrossFit Basel, CrossFit B4C, CrossFit Tuluka Pilar. CrossFit Coach's Prep Course: CrossFit Strong. CrossFit Kids Courses: Trident CrossFit. Focus on technique and the weight will come. Dan Bailey, Central East Regional. Post time and loads to comments. 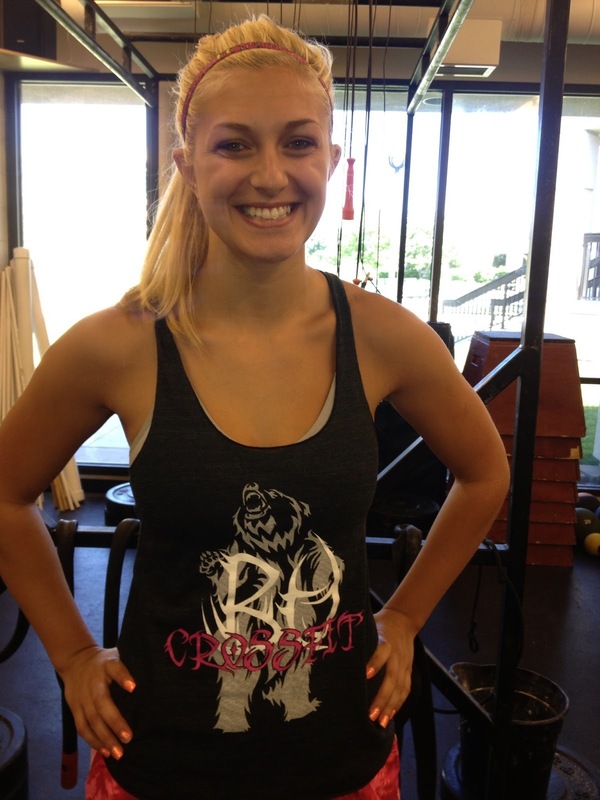 New BU CrossFit shirts with bit of pink! Hack's Pack Ute sets back-to-back event records in Team Event 2 and Team Event 3.